Jet skis are a fun way to enjoy the water. While jet ski operators are expected to adhere to the same regulations as other watercraft, but not everyone uses the same degree of caution, serious accidents can occur on jet skis that result in life-changing injuries and even fatalities. The United States Coast Guard reports that approximately 50 people are killed each year due to personal watercraft accidents. If you or a loved one has been involved in a jet ski accident and another person is responsible, you can suddenly find yourself facing hefty medical bills as well as other complications. In these situations, it can be particularly helpful to obtain the assistance of an experienced attorney who can make sure that your case resolves in the best possible manner. Inattentive operators. Not just jet ski operators but all people who operate watercraft must be cautious about surrounding conditions. When the operators of jet skis and other watercraft fail to pay adequate attention, serious accidents can occur. Inexperienced operators. Many people assume that because jet skis appear easy to operate, that accidents cannot occur while riding one. When people try to use jet skis in ways that they should not be operated, accidents can occur that jeopardize the lives of operators and those in the surrounding area. Intoxicated operators. No one should ever attempt to combine alcohol with the operation of a jet ski. Operators who attempt to operate a jet ski while under the influence of alcohol or drugs are in danger of becoming involved in deadly accidents. Speeding. Jet ski operators must be careful about navigating vehicles in unsafe ways. One of the most dangerous ways to operate jet skis is traveling at excessive speeds, which can result in drivers losing control of the vehicle. In some situations, a person who is riding on a jet ski is injured by the negligent operation of the jet ski. In these situations, the accident victims decide to initiate legal action against the operator and sometimes even against jet ski manufacturers and companies who negligently rented a jet ski to someone. 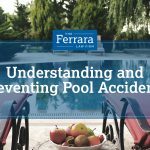 The attorneys at Ferrara Law have helped many people who have been involved in accidents involving jet skis as well as other types of watercraft. 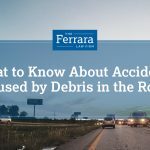 We understand that after these accidents, you are likely facing numerous complications involving hefty medical bills and lost wages. Contact our law firm today to schedule a free case evaluation.